Nanostructure (retaining key nanostructure) have been deposited by the HVOAF. Two types of customized coating materials have been used (cermets and metallic) according to the final application. Not only commercial powders but also customized ones have been self-produced inside the consortium. Micro sized powders with nanostructure have been used avoiding nanoparticle handling. Cold spray has been used as a greener alternative (no combustion) comparing to other thermal spraying and plating technologies. 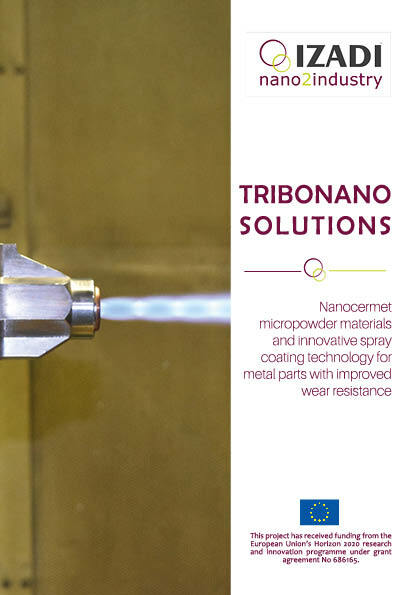 Read the complete results of TRIBONANO PILOT!